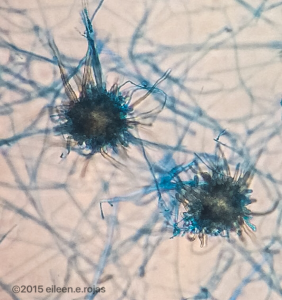 I thought it fitting that my first blogpost be on my namesake and most favorite fungus: Chaetomium. You may be wondering where I came up with the name “Chaetomium Queen,” and I’m happy to say it was bestowed upon me by my beloved coworkers. Chaetomium is just one of those special, wild looking’ fungi that I get excited about. I mean, look at the pictures! How is that thing for real?? ARE YOU AN ALIEN?! I guess after I got excited enough about it to come running out of my negative pressure work room exclaiming, “I HAVE A CHAETOMIUM! !” more than once, I earned my name. The chaetomium I see is generally isolated from respiratory sites such as the sinuses or toenails. 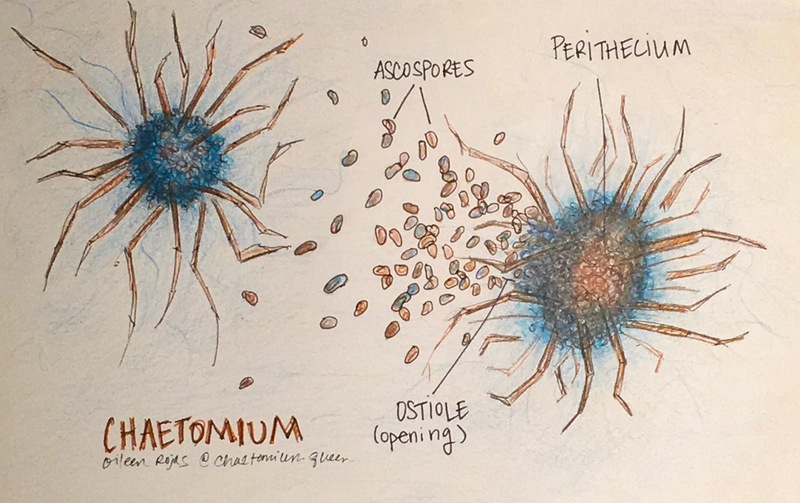 Chaetomium species are found basically everywhere in nature: soil, decaying plants, animal poop. For those reasons, it is commonly considered a contaminant but can cause infection of the nails and skin. In more severe cases, some species can attack the nervous system. 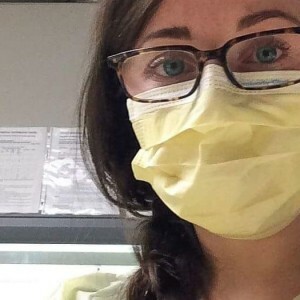 This mold is sometimes to be found in damp buildings, and can produce toxins that are harmful to residents in the building. Chaetomium is a dematiceous fungus, meaning it’s structures are darkly pigmented brown to black. Once the appropriate growth media has been inoculated with the patient specimen, this fungus is typically ready for a microscope debut at about 5 days. On agar the surface is a velvety texture and somewhat sandy in color, the reverse side often tan but can be darker brown or black. 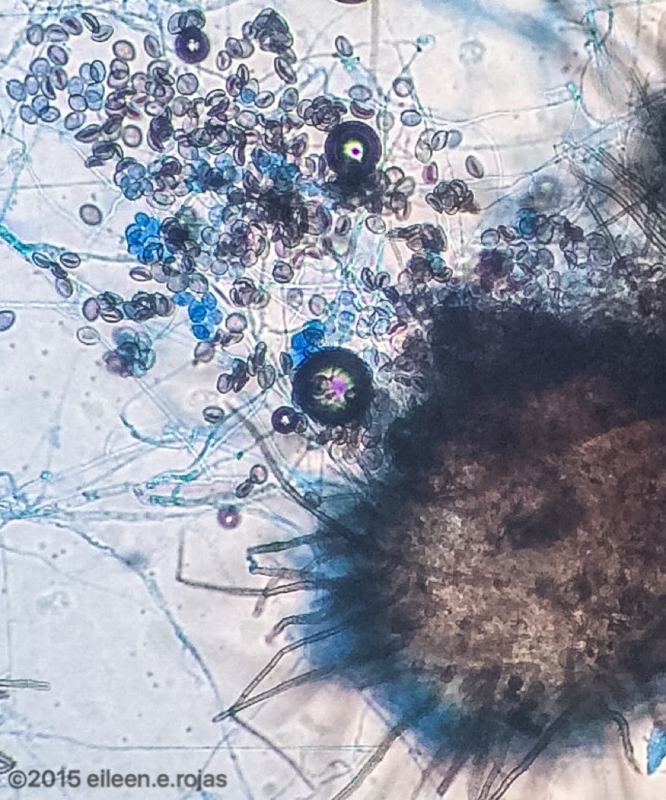 Under the scope you will see brown, septate hyphae and a large fruiting body structure called a perithecium. The perithecium is round, oval or pear-shaped and will eventually develop an ostiole, or opening, through which asci and ascopsores (sexual spores) will be released. 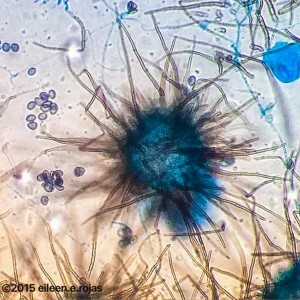 The perithecia typically has a bunch of crazy, spidery appendages/hairs poking out of it at every direction. These hairs can be straight, or they can be crazy wavy or curly. Either way, it always looks like a bad hair day. Aren’t they cute? Whenever I find one, I kind of want to put it in my pocket and take it home with me.